The melamine scandal on the mainland in 2008 saw six babies die and 300,000 fall ill after drinking milk powder tainted with an industrial chemical. That, along with the use of so-called gutter oil in food, has led to such distrust in mainland food companies that many families now seek out imported products, including some bought in Hong Kong. Using a toxin-testing method involving fish embryos, Eric Chen Zixiang is working to restore that trust. Current food testing mechanisms, he says, only reveal around 30 per cent of toxins. Through his young firm, Vitargent (International) Biotechnology, Chen is bringing about a revolution in how food, cosmetics and other products are tested for toxins. The ambitious former City University student, 27, actually studied engineering and marketing. It was during his student days that he first gained an interest in toxin technology. Chen set up his firm at the Science Park in Sha Tin. It is benefiting from a four-year incubation programme run by the Hong Kong Science and Technology Parks Corporation, which provides a business network and a laboratory for participating firms. “I was very proud of the 2008 Beijing Olympic Games,” Chen says. “But there were all these food scandals right after that,” he says. “Contaminated milk powder which made thousands of babies sick. How come the only source of food for babies is so dangerous? 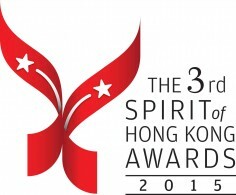 Chen has been nominated by the Science Park for the Innovating for Good Award in this year’s Spirit of Hong Kong Awards, organised by the South China Morning Post. 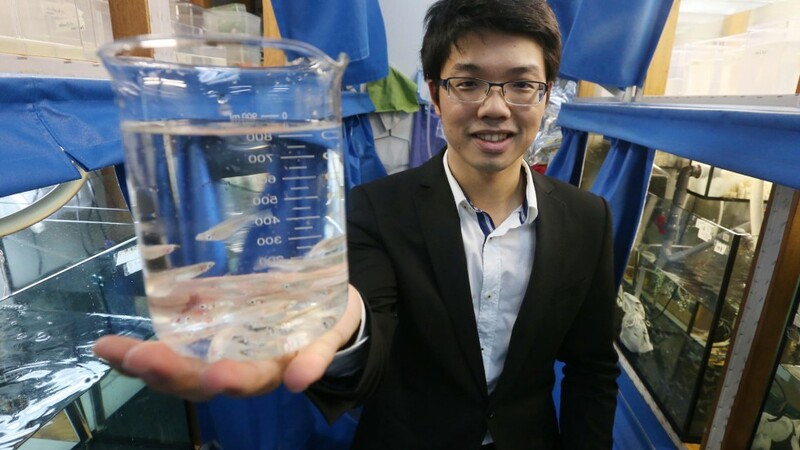 In his laboratory, Chen shows off tanks with adult zebrafish inside. Once the eggs are laid and incubated, they are turned into embryos for testing. Chen claims the embryos can show 1,000 toxins at a time, whereas conventional testing shows between five and 10. “The embryos share 90 per cent of our DNA,” says Chen. “It’s biology!” The fish are used for product safety testing of raw materials that commonly appear in daily consumer goods such as food, medicine, plastic items and cosmetic and skin care products. The fish embryos become fluorescent in the presence of estrogen. The intensity of the fluorescence can quantify the toxins. The zebrafish embryos mimic human metabolic activities, says Chen, so the embryos can start developing defects such as tumours within 48 to 72 hours. Chen laughs at his early attempts to get people to pay attention and more importantly to get funding, as he was still just a student. The technology was being created at City University, he says. One of the scientists involved, Dr Chen Xueping, joined him. Two other students came in with him to help get Vitargent started but later moved on to lucrative jobs in the finance industry, a move they possibly now regret, he says. Meanwhile, Chen showed huge determination in endless meetings with venture capital firms to get funding for his testing method. Finally, earlier this year, Vitargent completed a deal with venture capital firm WI Harper Group, whose founder and chairman Peter Liu has now become Vitargent’s chairman. Chen is also working with a number of cosmetic and food firms, which are using the embryo-testing method.